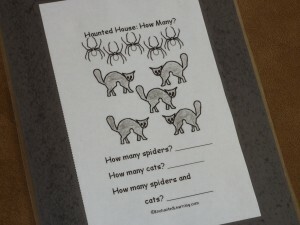 Enchanted Learning is one of my favorite websites to find thematic materials and ideas to use in My Obstacle Courses. I began using the site years ago while teaching because they have thematic materials for multiple grade/age levels and all academic areas. The information and activities are well organized and have great information for children to are ready to do research (click here for an example of their resource material). 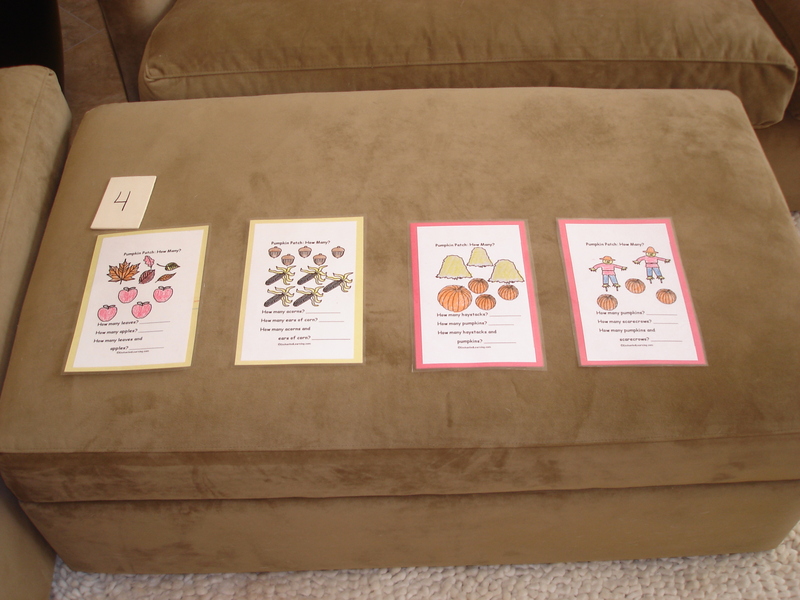 While there is some free material for those who would like to check it out first, I have a membership because it gives me access to a greater amount of printable materials, including some basic books I used with Andrew to work on counting, reading and coloring. A lot of times, I will print out a page and cut it apart to fit the activity I am doing. 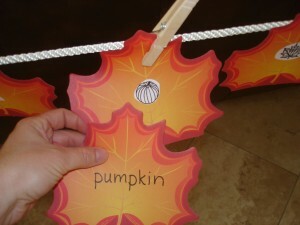 It doesn’t take long to glue pictures to a calendar cutout, thematic notepad sheet or index card in order to make it colorful, sturdy, and kid-friendly! 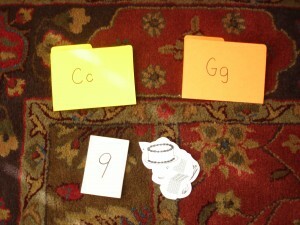 Picture/Vocabulary matchup on thematic note paper. I printed out the pages of the beginning sound we were working on (click here to see page), cut out the pictures that began with those sounds and then mixed them up. I got some cute little file folders at the teacher store, wrote one letter on each folder and placed out the folders for the letters we were doing. We would say the name of the picture and decide which beginning sound it had and place it into the correct folder. This really allowed me to see which sounds he was hearing and because all of the pictures were stored in the folders, it was so easy to mix and match letters/sounds in other Obstacle Courses. 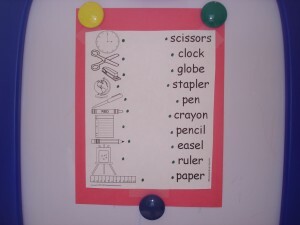 This also helped build his vocabulary and picture recognition because some of the things were new or looked different on paper. If you are looking for thematic ideas or materials to incorporate academic skills into your station activities, I encourage you to check out this site! Note: I have no affiliations with Enchanted Learning, I just really like what they offer!